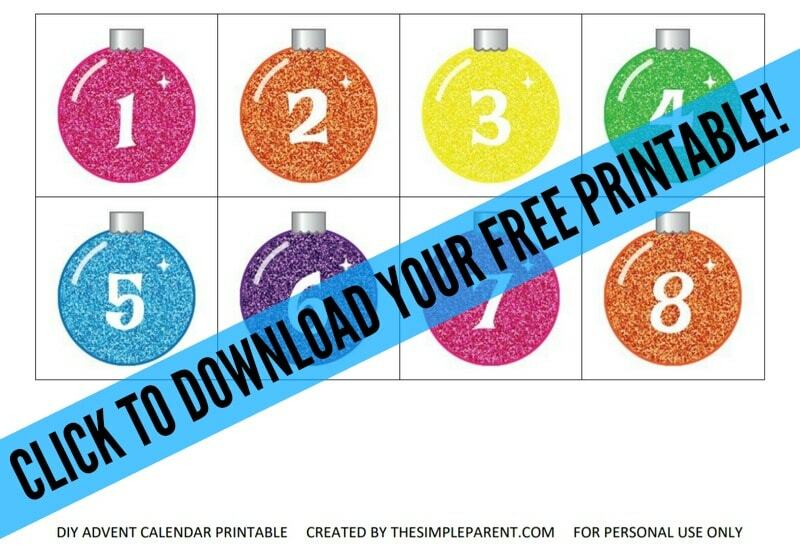 Be sure to get your FREE advent calendar printable at the bottom of this post! If you’re a fan of Poppy, Branch, and all of their friends from the Trolls movie, then you’ll be happy to know that they’re back in a brand new movie! Trolls Holiday is the new movie featuring the original cast and a brand new original song! If you haven’t seen the trailer, check it out now then see how we’re getting ready to kick off the holiday movie season! We’re huge fans of holiday movies and they make for family movie nights full of memories! But I have a feeling that a new favorite is about to be added to the list, thanks to our Trolls superfan, Miss Carrigan! In honor of the new Trolls Holiday movie, we decided to give one of our family’s favorite holiday traditions a Trolls twist! 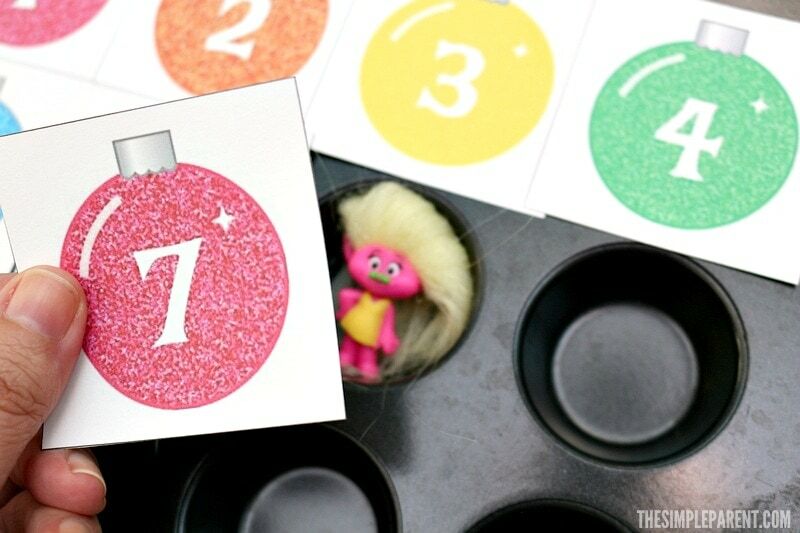 One of our favorite family traditions during this time of year is the advent calendar. I love a good countdown to Christmas! We usually buy each kid an advent calendar and we also have a few reusable ones that we got out each year. But this year we’ve been checking out homemade advent calendar ideas and created our own free advent calendar printable so you can put together your own featuring your favorite things. 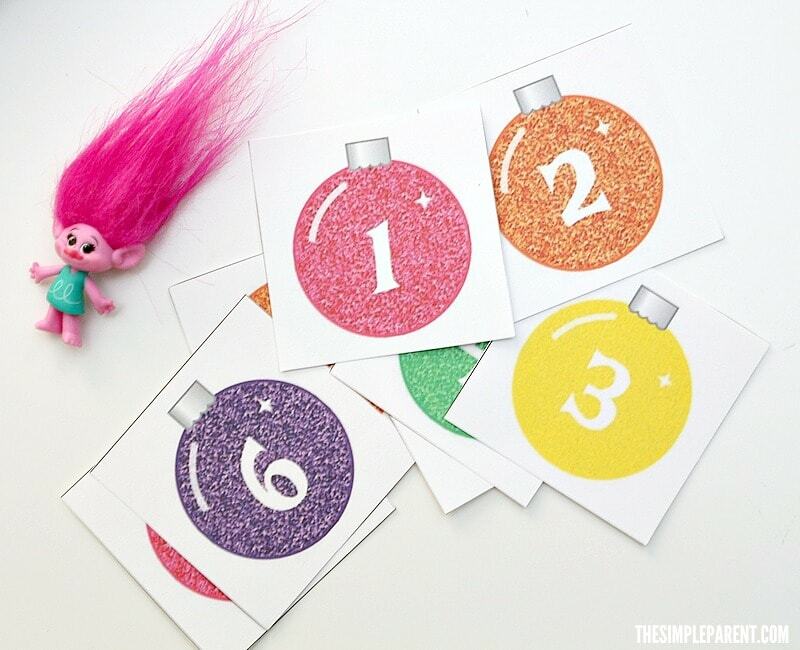 It features rainbow ornaments that we think Poppy would approve of! is so easy to make! It can actually be any kind of advent calendar you’d like it to be. It all depends on what you put in for the treats each day! 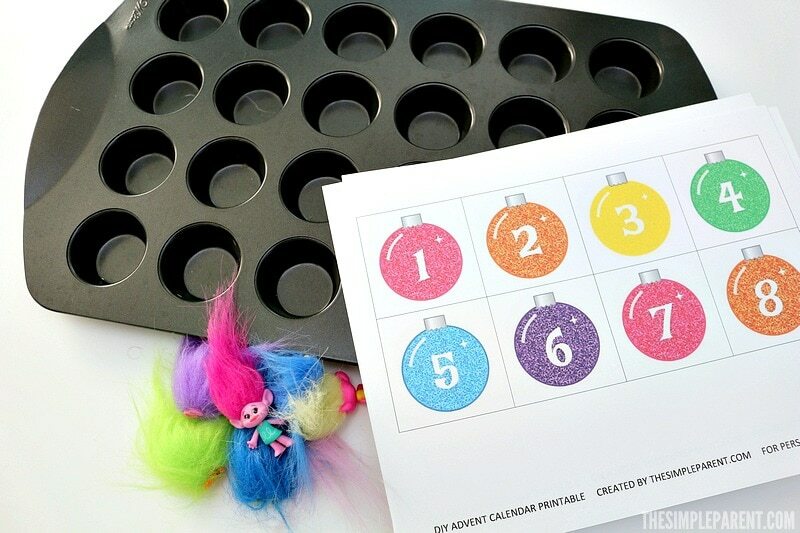 Other items you might need if you want to embellish your muffin tin — drill (to drill holes for hanging), ribbon, washi tape, pom poms, sequins, stickers, etc. Of all the homemade advent calendar ideas I’ve pinned (yes, you know I have been down the Pinterest rabbit hole with this topic), this is one of the easiest homemade advent calendar ideas I’ve found. 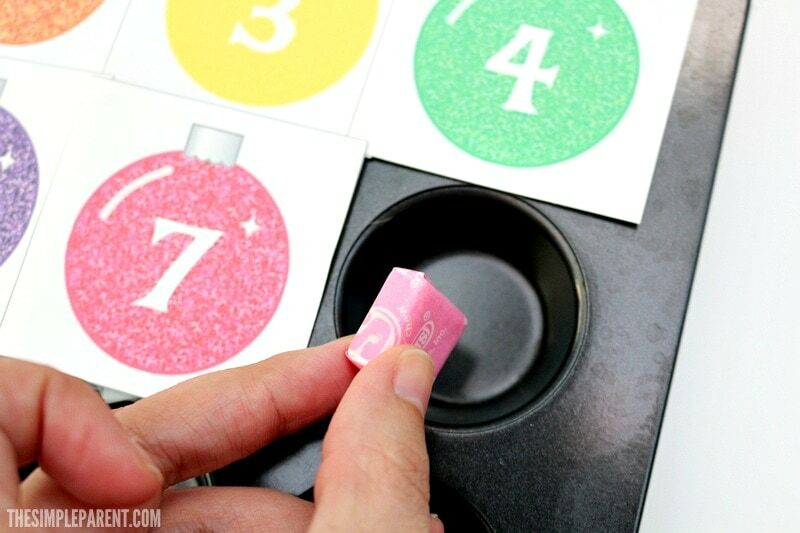 If you use magnetic paper to print your numbers, you can easily pack them away and use this again next year. If you use cardstock and tape, it will work fine but you’ll need to print out the numbers each year. 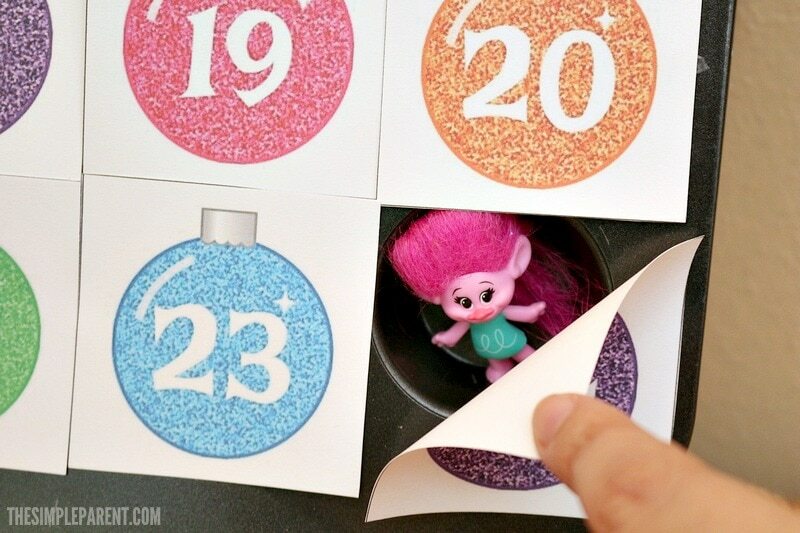 Follow these easy steps to make your own Trolls advent calendar! Print out the templates on magnetic paper or cardstock. Cut them out with scissors or a paper cutter. Decide which direction you want your advent calendar to go. It will work either vertically or horizontally. Place a treat in each muffin holder and cover with the corresponding number square. If you’re using magnet sheets, the square will stick. If using cardstock, you’ll have to tape each one on the pan. 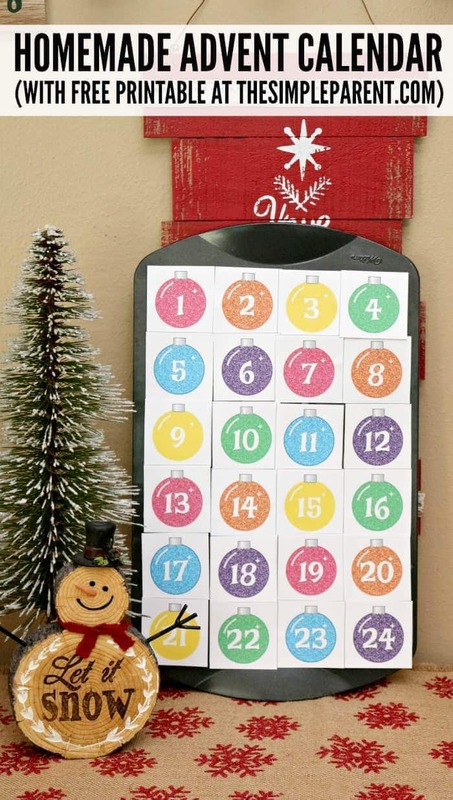 If desired, you can drill holes in the top of the pan and loop ribbon through to create an advent calendar you can hang up. You can also customize it even more using those extra supplies. This project can be as fancy or as basic as you want it to be! It’s fun no matter what! 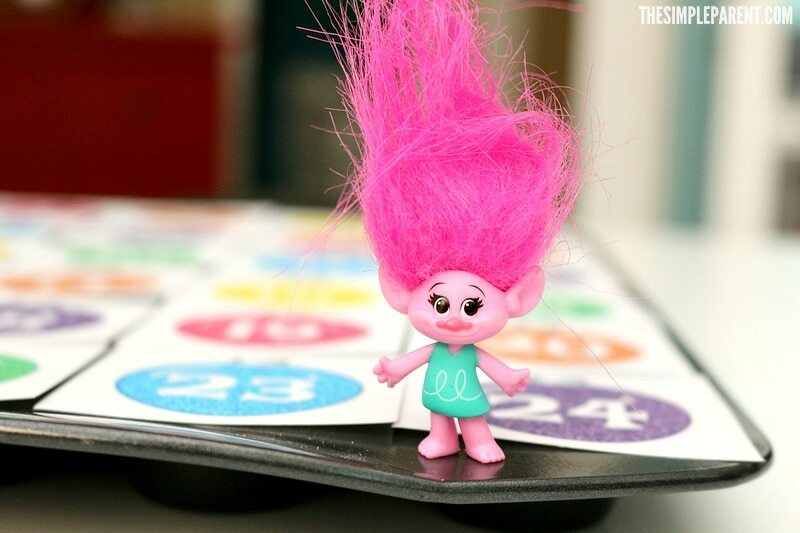 You’ll be ready for the release of Trolls Holiday Movie on November 28th in all Walmart Supercenters! Look for it at your local store in the fixture at the store! 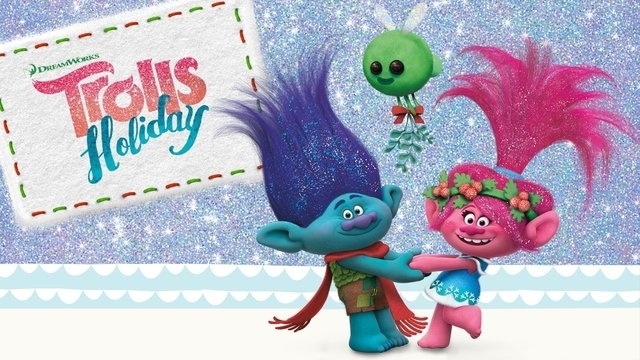 Once December 1st rolls around, you can celebrate with your Trolls advent calendar and a Trolls Holiday family movie night! Check out the first four minutes of the movie for a little teaser while you wait! It’s all about having fun together and I’m pretty sure Poppy and Branch bring fun wherever they go! We hope you have a wonderful holiday season creating memories with your family!